Life is a collection of moments, some memorable and some mundane. Often it is the tiniest things that bring the greatest joy, even though at that time, we have no idea that what we are witnessing may be magical, something that we will talk about and laugh over after many years. Packed with her hilarious narratives, poignant observations and a writing style loved by millions across the world, this book is certain to strike a chord with anybody who has children or who has been a child, themselves! For those who have read 34 Bubblegums and Candies, this is a new version, with many additional stories. For others, it is a heart-warming, hilarious, and inspiring collection of true anecdotes from the author’s life, telling us to Love A Little Stronger, no matter what happens. 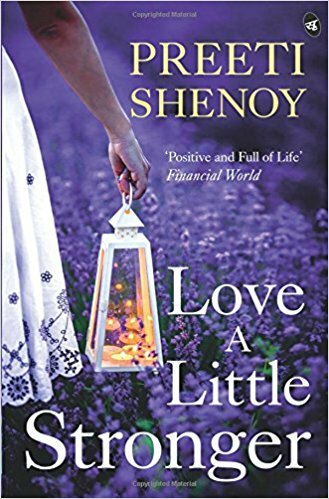 Preeti Shenoy is the bestselling author of Life is What You Make It and nine other titles. Her books have been translated into several Indian and foreign languages. She is among the highest selling authors in India. She is also a speaker, columnist, and artist. Preeti has been featured on BBC, Conde Nast, Verve, India Today and all other major media. There is something pleasant about this book that grabs your attention straightaway, nudging you to turn the pages with a glass of cold water, and cupcakes by the side. Do you know what that ‘something’ is? The title, of course! ‘Love A Little Stronger’ – so aptly said. In a world that is currently in doldrums owing to commotion and disturbances from all quarters, people tend to stick towards negativity, not realizing that there are positive aspects in our lives too. What we all need is our share of love, as well as sharing of love, the best place to start being, of course, our homes. We live in a busy world filled with goals and ambitions. We have, unknowingly, become part of a rat race driven by technology. When was the last time we had a hearty dinner with our family, close relatives and friends without the interruptions of television and mobile phones? We have surely had memories of those days, but they have receded somewhere in the far corners of our minds. Preeti Shenoy digs in deep through those memories and brings them down to our heart. She narrates her own life incidents, and we, the readers, seek our own slices of déjà vu embossed in them. The book is divided into five sections. ‘The Parent Trap’ illustrates the close bonding between Preeti and her parents, as well her own tale of parenthood. Being a proud mother of two lovely kids, Preeti narrates the ordeal that goes on in her house, daily. ‘Life, Love And Laughter’ comprises anecdotes that are funny, humorous and at times plain embarrassing. There are moments of her life that might have looked awkward when they had happened, but now invite laughter. We have all fought with our siblings when young, but again, the love and bonding that is shared between siblings is unparalleled. ‘Hey Brother!’ narrates incidents involving Preeti’s son and daughter. The innocence of children, and how well the siblings protect each other during times of need, makes a happy reading. Love in all form should be welcomed, ‘cause it’s a blessing and a precious gift to have. Love can come from any direction; we only need to embrace it with arms wide open. The fourth section of the book, ‘Love A Little Stronger’ speaks about love and acts of kindness, and how they stand against all odds. In the concluding section of the book – ‘Be The Best You Can Be’, Preeti Shenoy shares tips on life and parenting, and also advices for aspiring writers. ‘Love A Little Stronger’ is a light read, and can be completed in a few hours. However, the message that it imparts is deep. It makes us think about our childhood, adolescence, and the stages thereafter. It creates a sense of nostalgia in us, so much that we would instantly have the urge to call our loved ones and speak our hearts out with them. This book comprises of real-life incidents not only of Preeti Shenoy, but of all of us. We find ourselves in the pages, and we are drawn towards it. What works best is the lucidity of the language, and the way emotions have been dealt with. 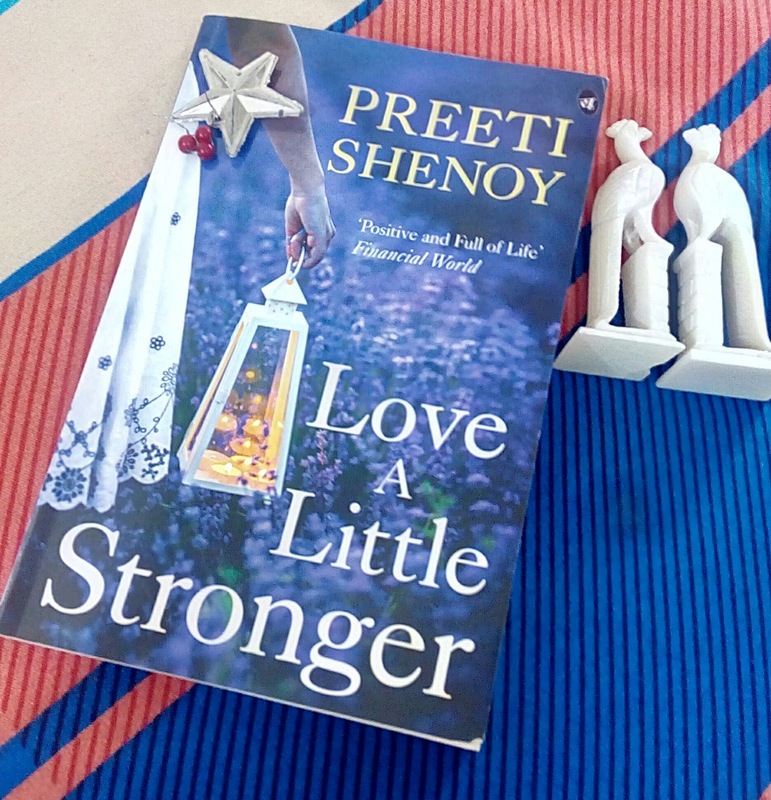 Preeti Shenoy is a master story teller, her words coming to life with every paragraph. ‘Love A Little Stronger’ is a must – read book. After all, love is what creates the bonds between us humans, making us live in stories, scripted out of reality. i liked the review and the language,used.